An Ancient Solar System...: The Universe in 101 words: Is there a Planet 9? 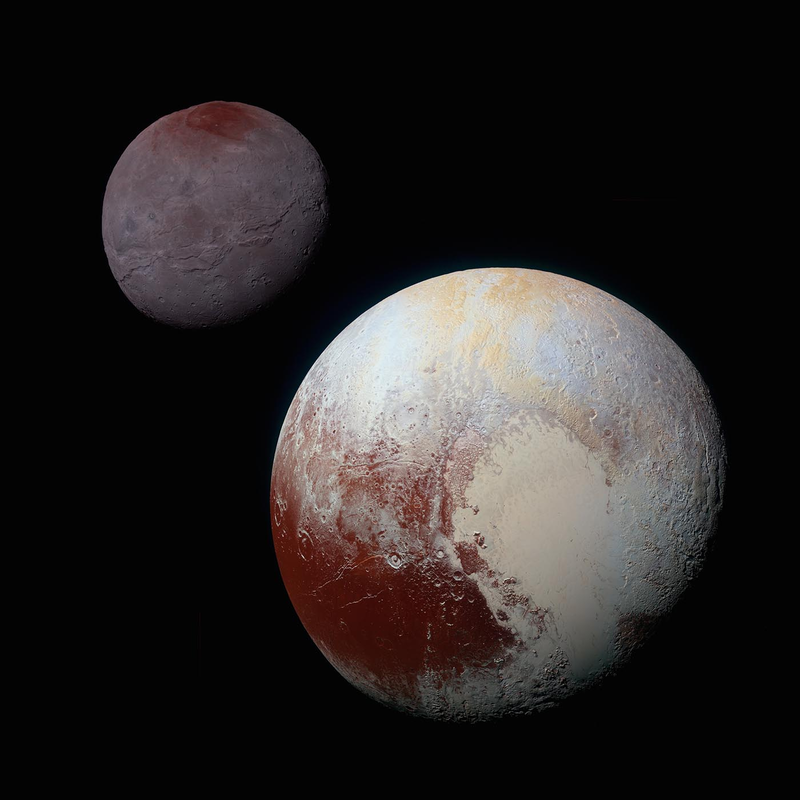 Above: Pluto and Charon in all thir weird glory, coutesy of NASA. A lot of people felt that Pluto’s demotion to ‘Dwarf planet’ was unfair, especially as it’s turned out to be so interesting.... ..although, personally, I don’t think Pluto cares’ much what it’s called: World’s generally don’t. But the Kuiper belt – the ring of icy worlds that surrounds the solar system - has turned out to be full of weird worlds as big and as fascinating as Pluto – which means that either we had to change Pluto’s status or make school wallcharts of the solar system absurdly long.